For several months, my six year old daughter and I have been starting our Fridays together with a violin lesson. The sunshine was so beautiful today and the instruments so lovely, I thought I'd take a quick photo to show you. Happy Friday! What a lovely way to start any day! 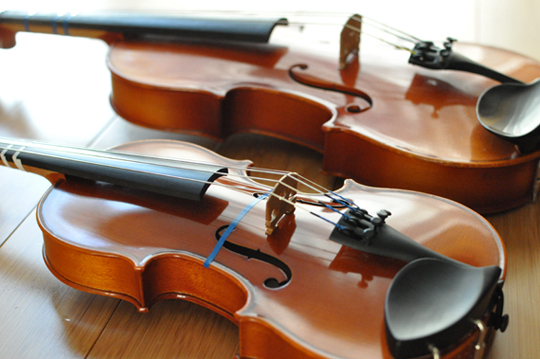 I am so excited to hear you both are partaking in violin lessons! I am also a violinist and fiddler! I hope it brings you much joy!